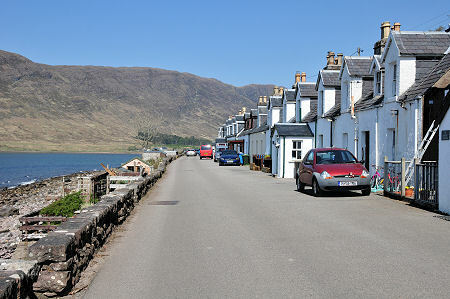 The village of Applecross is the best known settlement on the Applecross Peninsula. The name Applecross is a corruption of Aber Crossan, meaning mouth of the River Crossan. The Gaelic name is a'Chomraich which translates as "The Sanctuary". This dates back to the building of a monastery here by the Irish monk, Maelrubha, in 673 and his establishing the surrounding area as a sanctuary. The more recent focus for the development of the area was Applecross House. This imposing house, strikingly white against its background of mountains, was built in the years to 1740 for the Mackenzies of Applecross. Serviced entirely from the sea, the Applecross Estate employed significant numbers of farm workers, shepherds, gamekeepers, gardeners, domestic staff and fishermen. The village today known as Applecross, complete with Milton just to its south, grew largely to service the needs of the Estate. Today the estate attracts visitors both with its walled garden and the Potting Shed Cafe and Restaurant within it. 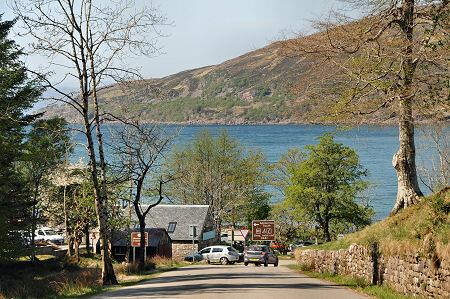 In the village itself, the Applecross Hotel offers refreshment, meals and accommodation. 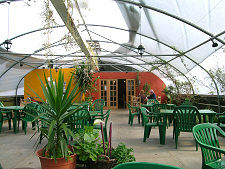 And on the road into the village from the east is the Flower Tunnel, an excellent cafe serving a range of meals and snacks within a polytunnel structure of the sort more usually used as a greenhouse. The Flower Tunnel has been developed behind the old Applecross Mains, the farm originally built to serve the needs of the estate. Nearby is the village's campsite: an idyllic spot, though not the easiest to reach with a caravan in tow. No-one should contemplate towing a caravan over the Belach na Ba, making the only realistic approach the single track road around the coast from Shieldaig. The road south from Applecross down the coast is too often overlooked by visitors. 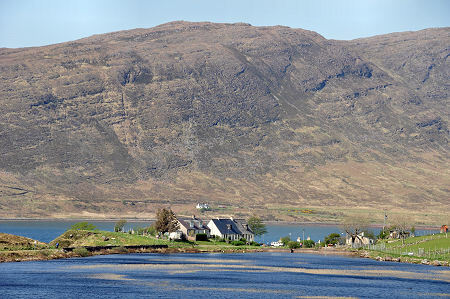 This brings you to the attractive village of Camusterrach, looking across its bay to Ard-dhubh and home to Applecross's school and two churches. 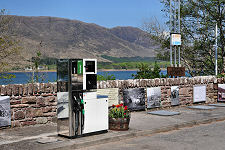 Further on the road terminates at Toscaig, with its disused harbour.